The study by Zhu and colleagues examined the effect of proteinuria reduction in a randomized double blind controlled trial that included 160 diabetic patients with proteinuria range between 0.5 to 3 grams in 24 hrs. Patients were randomized to either telmisartan (n=80) and probucol versus telmisartan (n=80) and followed for 48 weeks. Patients assigned to the probucol group had a 27% reduction in proteinuria compared to the telmisartan group. The effect of probucol was particularly beneficial for the subgroup of patients with proteinuria <1 gram. Post written by Dr. Magdalena Madero, eAJKD Contributor. 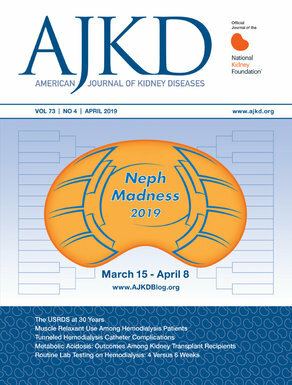 Check out more eAJKD coverage of ASN’s Kidney Week 2013! Also, follow @eAJKD on Twitter for live updates!